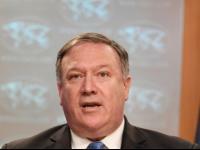 The US Secretary of State Mike Pompeo has said it is important to give time and space for the investigation of the disappearance of Saudi journalist Jamal Khashoggi. Speaking to the media at Brussels International Airport, after wrapping up his travel to Saudi Arabia and Turkey, Pompeo said that Turkish President Recep Tayyip Erdogan had "made clear that the Saudis had cooperated with the investigation that the Turks are engaged in, and that they're going to share information that they learned with the Saudis as well, " reported Xinhua news agency on Wednesday. "There's been a couple of delays, but they seemed pretty confident that the Saudis were going to permit them to do the things that they needed to do to complete their thorough and complete investigation as well, " Pompeo noted. "They want to complete their investigation, and they will have a process. I'm sure they will have their own prosecutors looking at this as well since it took place in their country, albeit on consulate property, " he said. "I'm not going to get ahead of. . . we have two countries conducting investigations. We're going to give them the space to complete their investigations of this incident, and when they issue their reports, we'll form our judgment about thoroughness, depth, and the decisions they make about accountability connected to that, " he said. "As for responses that the US will take, we need to know the facts before we can begin to formulate what the appropriate response for this would be, " he noted. Although Pompeo said the alleged death of the journalist is "unlawful" and "unacceptable", he said: "I do think it's important that everyone keep in their mind that we have lots of important relationships between the US and Saudi Arabia. " Speaking of his visit to Turkey, Pompeo said that he had "a good, constructive" conversation with President Erdogan on the release of US pastor Andrew Brunson, Turkey's purchase of Iranian oil and Syria as well, without giving more details about whether there is an agreement reached. "We have Iran sanctions taking place November 4. We are working with the Turks to make sure that we get to the right place, " he said. "They buy Iranian crude oil; we'd like them to buy less. " "President Erdogan is fully engaged in ensuring that Idlib Province remain inside the agreement that he struck, and we are hopeful that that will remain the case as well, " he added. Denying that he had ever been "giving cover" to the Saudi side at all, Trump said "we will probably know that by the end of the week" after he got a "full report" from Pompeo upon his return. Unconfirmed reports said that Khashoggi was likely killed inside the compound, a claim denied by Saudi officials as "baseless".